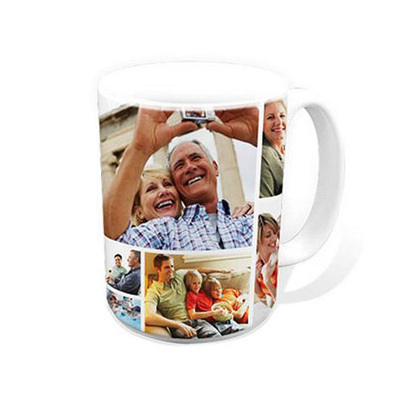 A photo montage mug / collage mug personalised with a collection of your favourite photos with a choice of Tiled Effect or Scattered Effect finish can make a wonderful personalised gift, At YourgiftsOurgifts you can have unlimited photos so let us create a stunning photo collage on one of our high gloss Grade A photo mugs. 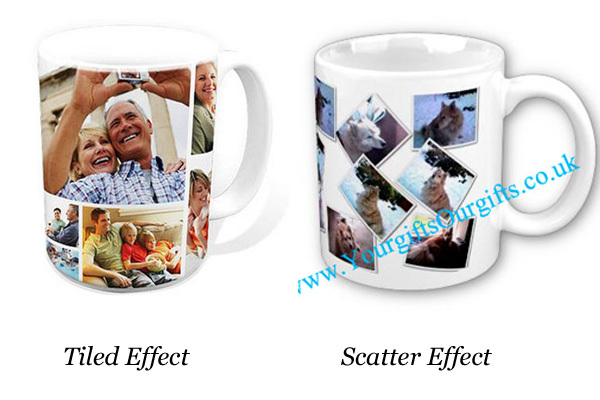 Your collection of photos will be placed around the mug in your choosen style and heat dyed to produce a stunning high gloss finish. Simply send us your phots in the upload box below ( photos can be uploaded five at a time) or you can e-mail all to us at sales@yourgiftsourgifts.co.uk and we will create your montage mug and ship within 2 days. .Once photos have been uploaded they are sent to an encryption server for the utmost in security as we work with alot of children's photos and feel this is the only safe way to deal with your precious photos, hence there will be no preview once you have uploaded them from your pc but if there is a problem with any of your photos we will contact you right away.